‘In the end, the decision is to deliver these bombs to honour a contract dating from 2015,’ Borrell said on Spain’s Onda Cero radio. 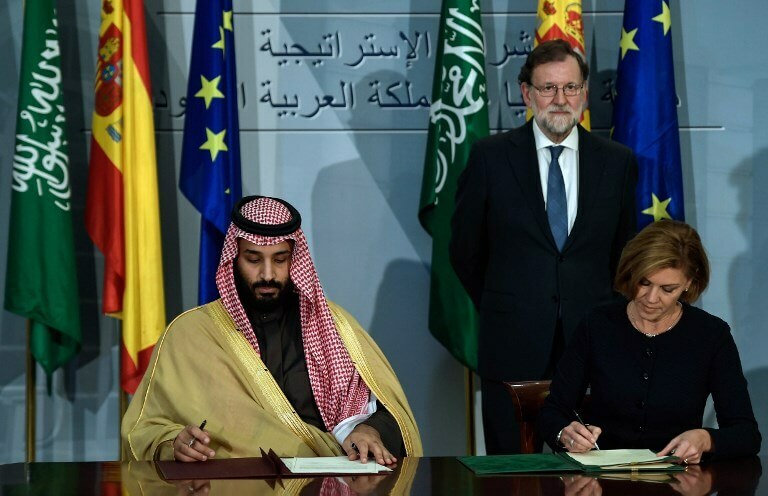 The government had announced a week ago that it would block delivery of the weapons – for which longtime ally Riyadh has already paid 9.2m euros. But Defence Minister Margarita Robles mooted a U-turn on the arms deal on Monday. Asked Wednesday about criticism from humanitarian groups over the deadly bombs, Borrell said they had ‘extraordinary precision of less than a metre (yard)’ and did not cause collateral damage. Cancellation of the deal would jeopardise a much larger order for five Corvette warships worth 1.8 billion euros, to be built by Spain’s Navantia shipyard in the southern region of Andalusia, with thousands of jobs at stake.